TRS is unique in our scope of products and services. In addition to standard, specialized and fabricated container structures we sell and rent ISO Chassis. 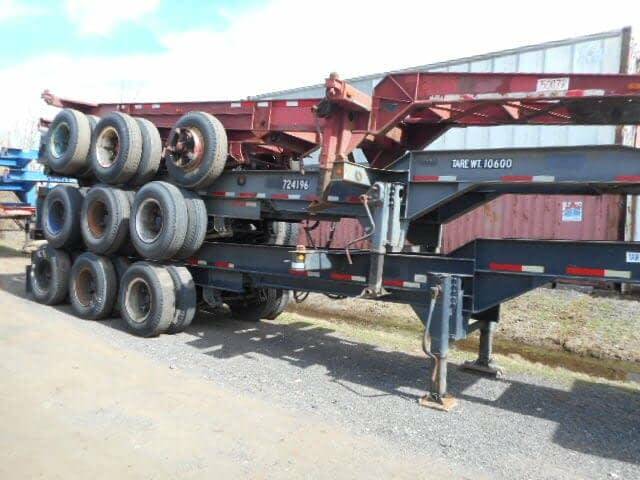 Tri-Axle slider chassis have a heavy duty steel frame with 3 axles. It is designed to carry high payload 20 foot ISO containers up to 53,000 lbs. 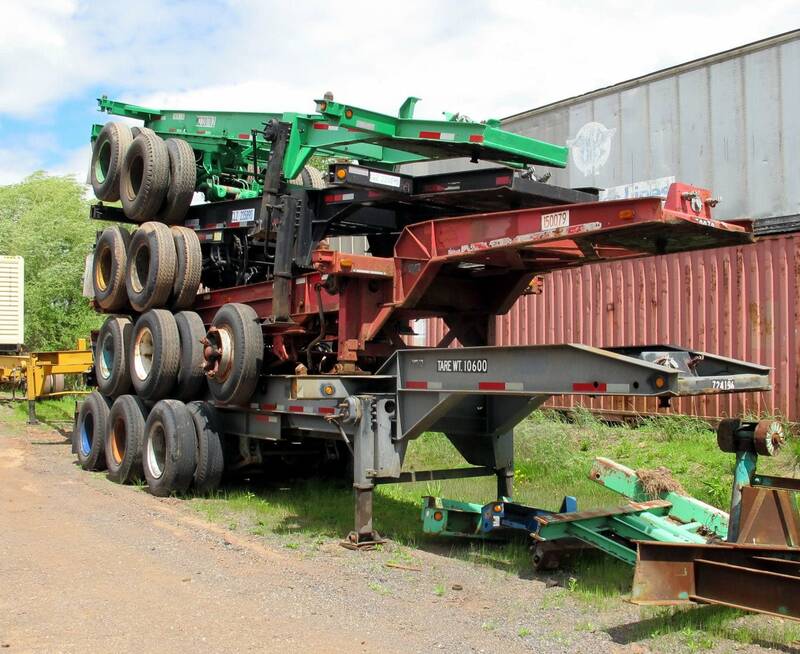 Chassis can be stacked 3 high for transport. Availability can include New, Refurbished, Used and Fix It Yourself condition. Domestic chassis will meet FHWA Roadworthy requirements. TRS sells ISO container chassis for the safe and cost-effective transport of empty and loaded containers. We can quote on New Tri-axles and Specialty Chassis. TRS offers Short and Long term Rental Options. Having difficulty getting a chassis at the pier, it is time to purchase.